This pure RED colored most stylish dress is specifically chosen by our expert to look precious. 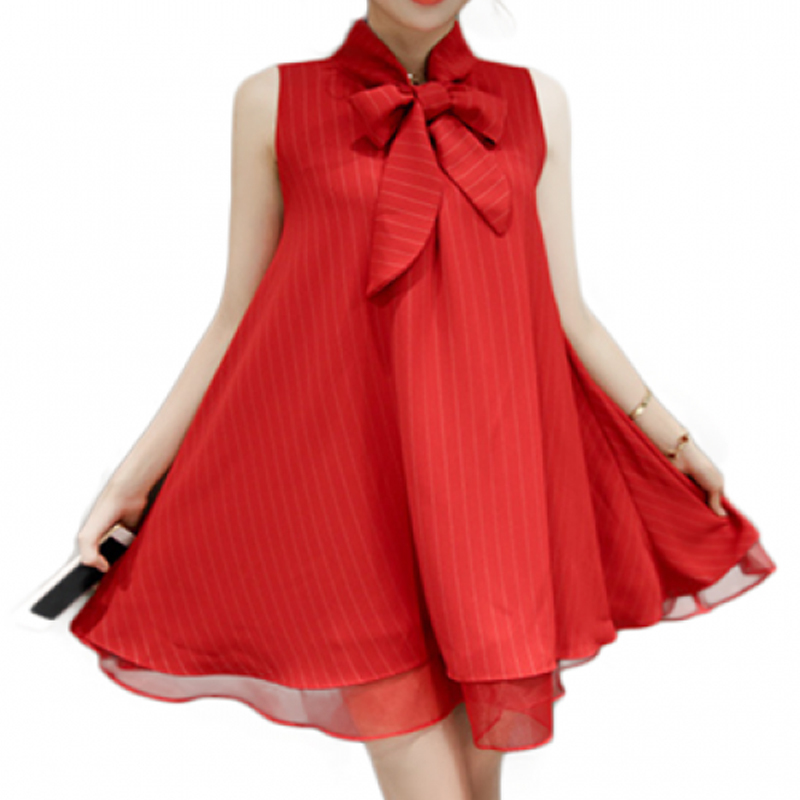 Sleeveless with bow-knot style making charm in it. Its a loose waist dress, material is unique. It might be matched with any your already bought bottoms from us or you may select any other by vising our bottom category. It is available in sizes. Our most selling this RED thin coat style mini top having white colored buttons throughout its lengt..
Stitched black & white printed skirt with plain BLACK sleeveless top having golden colored ribbo..
An oblique matched leather on plane BLACK midi sleeveless shirt is for make to gorgeous and dazzling..
BLUE summer dress with short sleeves style and round neck option is ideally suitable for all occasio.. This elegant looking BLACK short sleeved top is to show your style of sophistication. The design typ..